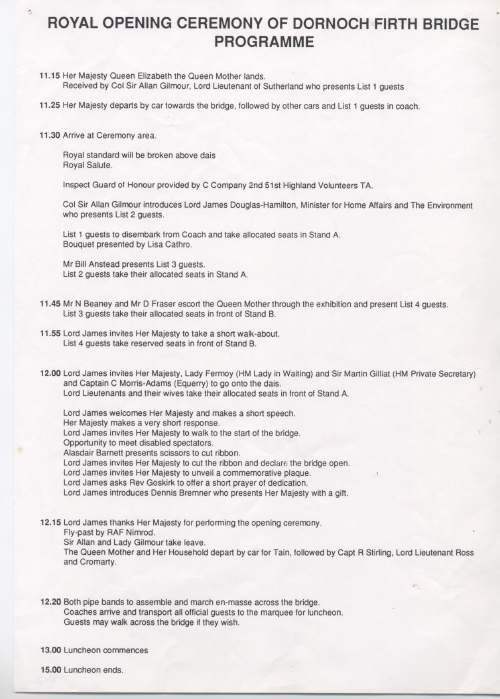 Single sheet detailing the programme of the ceremony of the Queen Mother opening the Dornoch Firth Bridge including times and guests. Col. Sir Alan Gilmour Lord Lieutenant of Sutherland presents some of the guests to the Queen Mother. Lord James Douglas -Hamilton is also introduced to some guests.